They say it better than we can. We receive many notes of appreciation from people touched by UCare. Read the excerpts below to learn why people value UCare and our health programs. "I was just very impressed that your insurance company would have a department that would take the time to call and see how I was doing and to let me know that there was this resource and that resource. A case manager called me three times. She spent at least five or six minutes on the phone making sure things were going well for me and I was taken care of." "I love UCare and its wonderful service and [that it's] great for seniors' wallets!" "I’m proud to be part of any organization that services their clients in such a professional way. Thank you for being 'there' for us!" " On July ... I called UCare Customer Service ... Sue was friendly, competent, and professional. She went beyond the normal expectation I had for customer service and made sure she found an answer for me. Her behavior gives me great confidence in UCare. I sincerely appreciate her kindness and am so glad I have UCare insurance!" " I just want to tell you how fortunate we are to be members of UCare for Seniors. I don't know where we could find better care and coverage." "THANKS ... to UCare for having a number that we could call (ON A HOLIDAY) for questions regarding our UCare health insurance policy." One of the most beneficial and straightforward events I have attended in the last six months was your sales presentation. It was a no pressure presentation that clearly presented facts and information. 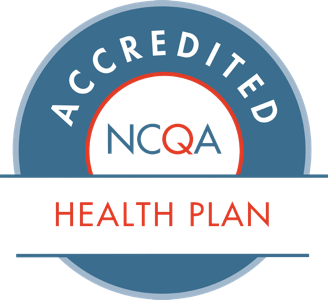 I came away with a hugely improved understanding of not only your product but the things I need to consider in health insurance plans with respect to Medicare. I’ve been a UCare for Seniors member for a number of years, and I’m always impressed by the care and service you provide. You definitely have my loyal support and endorsement. Our Dear Insurance Family … You have truly been a blessing to us both and have stood by us as you said you would from the start. - Frank and Catherine B. The integrity of your company is outstanding! My husband and I wish to commend and thank you for an efficient and caring system of senior health insurance. In these days of questionable integrity and cost containment, we applaud your founders and administrators for establishing and maintaining your service. I just wanted to let you know how much I love UCare Insurance .. thank you for being a wonderful health plan. I feel I’m getting the best health care possible. If I ever have any questions, I’ll call Tanisha at her extension number. I like being able to just have one person to talk to … [she is] so informative and willing to help answer any questions. P.S. I love PrimeTime. I look forward to the articles. Thank you for answering my letter. It tells me a person who is President and Chief Executive Officer of a big company who will take time to personally respond to a complaint is someone special. I am enjoying my 17th year with UCare and I am proud to be a member. Thank you again and be well assured as long as I am alive I will always be a member of UCare. Kudos to you for offering SilverSneakers to your members. I have availed myself of that, and am in better shape than I have been for years. Without your incentive, I would not have visited a work-out center at all. I want to thank you for UCare. Thank you for treating us like people. Dear friends, you have my deepest gratitude for the excellent care you provided for my mother and for the support you gave me … UCare and MSHO have established a true partnership FOCUSED ON THE HEALTH AND QUALITY OF LIFE of the older person. 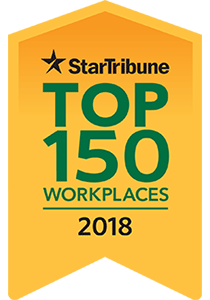 I consider myself lucky to be a member of UCare’s Minnesota Senior Health Options and to be associated with an efficient and wonderful Care Coordinator. Had it not been for the watchful diligence of UCare, (my son’s) health insurance might have been jeopardized. I am completely grateful and appreciative to you TRUE health care professionals at UCare. YOU’VE INSERTED HUMANITY INTO AN AREA MANY PEOPLE ARE OVERWHELMED BY. I wanted to express my appreciation for some of UCare’s programs that are both valuable and progressive … I chose UCare (while pregnant) because I saw you had a car seat program and a breast pump program (and a doula program)… I appreciated the calls from UCare nurses during my pregnancy. They were all so encouraging and helpful.